London, UK (Jun. 26, 2018) – With only a quarter of business leaders globally very confident they will achieve their 2020 growth targets, and 56 percent concerned that current growth strategies are at high risk of disruption, a new strategic approach is critical to enabling business success. 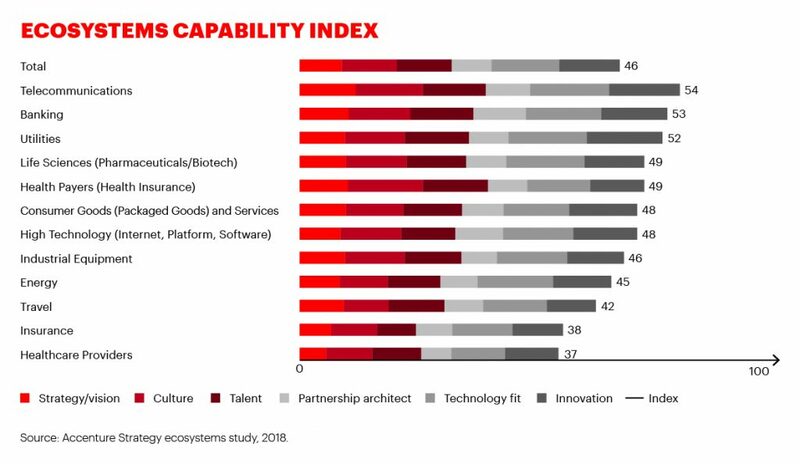 New research from Accenture finds that 84 percent of business leaders globally agree that building ecosystems – joining forces with other companies to share data, customers, technology and industry knowledge – is critical to their strategy. 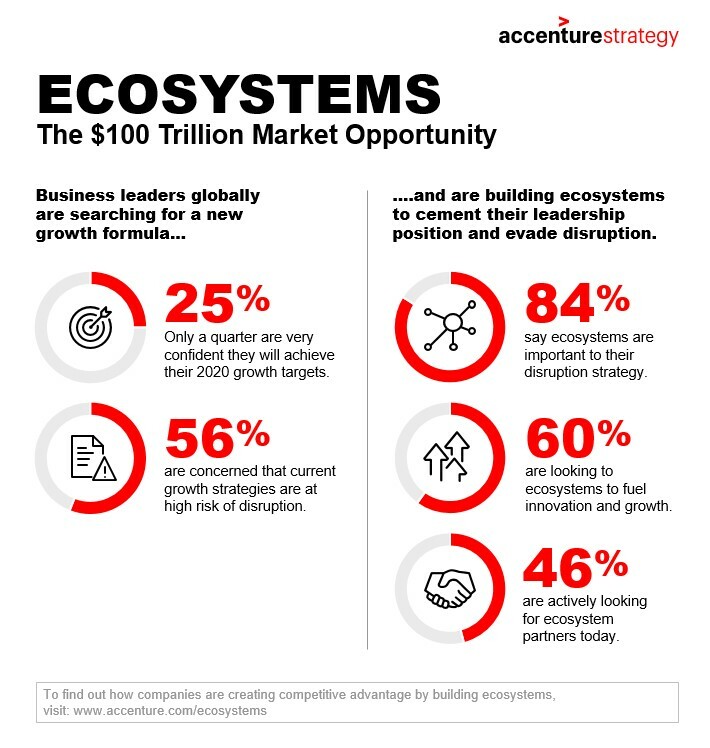 To find out more about the report, visit www.accenture.com/ecosystems. Accenture (NYSE: ACN) is a leading global professional services company, providing a broad range of services and solutions in strategy, consulting, digital, technology and operations. Combining unmatched experience and specialized skills across more than 40 industries and all business functions – underpinned by the world’s largest delivery network – Accenture works at the intersection of business and technology to help clients improve their performance and create sustainable value for their stakeholders. With approximately 442,000 people serving clients in more than 120 countries, Accenture drives innovation to improve the way the world works and lives. Visit us at www.accenture.com.